What makes Moore Than SEO experts at what we do? Our staff has decades of combined marketing know-how across all business sectors. We’re a full-service firm, your one-stop-shop for all your business marketing needs: social media management, content development, organic SEO, business marketing consultation, website development, graphic design, and more. Everything we do is personalized to your needs to reach your specific business goals. We’ll work with you to develop a strategy that increases your brand recognition through interesting online conversations. The result: measurable sales growth. We go where your target customers hang out, going beyond just creating profiles. Our job is to make you stand out, far above your competition, by helping you to connect with your customers on an emotional level with insightful copy, graphics, and more. We only practice organic SEO, or natural search engine optimization. 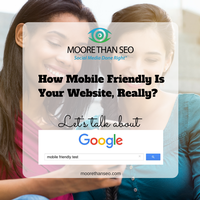 This includes a detailed assessment of your website to confirm that it is following Google’s most current guidelines. Does your site make proper use of keyword phrases? Does it have a variety of relevant, high quality backlinks using appropriate anchor text? Does it meet the minimum of text per page that is meaningful to your audience? And most importantly, does your website make real sense to your website visitors? We have the copywriters on staff to correct Google penalties with panache. 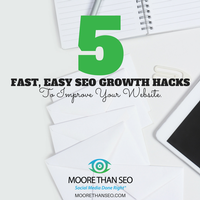 The mark of a successful website is not just the number of visitors landing on your pages. We ensure that these visitors are compelled to remain on your site, engage & take action.